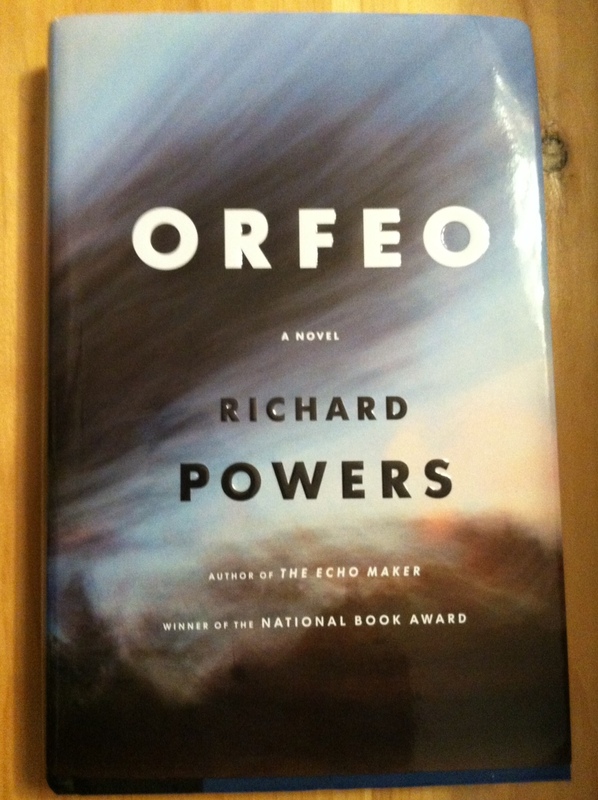 It’s January 17th, and I’m confident that I just read the book that will top my (mental) list of books published in 2014: Orfeo, by Richard Powers. When the feds come knocking on Peter Els’s door, concerned about his hobby — experimenting with the genetics of a less-than-safe bacterium — the seventy-year-old avant-garde composer assumes that their misapprehension about his motives will evaporate with the slightest scrutiny. Then he finds his home cordoned off by police tape and his belongings stuffed into cartons, and he decides to run. As he sets out to make amends with the people he loves most before what he believes will be his inevitable capture, Els reconstructs the movements and suites of his own past. Mr. Powers’s novels deal with the intersections of technology with art and life (this novel, his eleventh, is not the first to take genetics and music as its subject); they’re intensely intelligent, showcasing Mr. Powers’s nearly unbelievable erudition (he’s the recipient of not only the National Book Award, but also a MacArthur Fellowship — the “genius” grant). Orfeo is no exception. In the past, some reviewers have suggested that the cerebral splendor of Mr. Powers’s novels comes at the cost of emotional heft, but not so with Orfeo. As Peter Els tries to make meaning out of the complicated patterns of his life and his art, the reader witnesses love and friendship in fragile permutations both familiar and fresh. Orfeo‘s lyrical beauty draws the reader in swiftly. Els experiences the world through sound, and we hear what he hears, from staccato birdsong to Messiaen’s Quartet for the End of Time, in passages so lovely and richly visual that they could describe paintings. I’ve never read music described so well. I trained as a singer when I was younger, thinking, maybe, that I’d study opera at a conservatory — but I could not (and can’t) read music. Orfeo made me both wistful and grateful for that missed path. He couldn’t begin to tell her. Life. Four billion years of chance had written a score of inconceivable intricacy into every living cell. And every cell was a variation on that same first theme, splitting and copying itself without end through the world. All those sequences, gigabits long, were just waiting to be auditioned, transcribed, arranged, tinkered with, added to by the same brains that those scores assembled. A person could work in such a medium–wild forms and fresh sonorities. Tunes for forever, for no one. Dangerous work. But then, art is dangerous. Richard Powers would know. Orfeo will be released on January 20th. * My thanks to W. W. Norton for sending an advance copy of Orfeo in exchange for an honest review. Wow. Thanks for the review – I’m on it! You’re welcome — thanks for reading. It’s so good! I fearlessly disregard the length of others’ (and my own) TBR lists! Thanks for reminding me of Richard Powers. Some years ago I read his “Gold Bug Variations.” Great novel. You have certainly piqued my interest! Thank you!! I’m glad, and you’re welcome!